John and Helen Froese, pastoral couple in 2016. The Living Faith Fellowship in Two Hills, Alberta was founded in 2015 when an independent group that had been meeting for a while, felt they needed to join a larger conference in order to move forward. At that point they chose their name and initiated a conversation with Charles Koop, Director of Church Planting with the Evangelical Mennonite Conference (EMC), with the intention that it would lead to conference affiliation. As drug violence in Mexico increased, many Mennonites concerned for the safety of their families, heard of relatively inexpensive land in the Two Hills area of Alberta, and had started moving to there in the early 2000s. That the local school board was also willing to accommodate their desire to have some German programming in the public school, also continued to draw these Mennonites to the area. Initially the only Mennonite church in the area was the Old Colony Mennonite Church, but as more people came, different church groups began forming. The Living Faith Fellowship was one of these other groups. 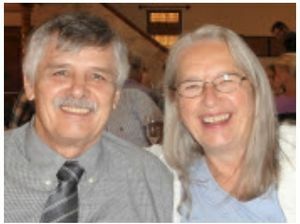 The Living Faith Fellowship was greatly helped by EMC’s Charles Koop in the process of finding pastoral couple that could provide congregational leadership in their unique situation. In the fall of 2016 John and Helen Froese accepted the call to pastor the church, and committed to serving a two-year term. It was the desire of Living Faith Fellowship to be an evangelical ministry in the community of Two Hills. Living Faith Fellowship wanted to keep some of the Mennonite ordinances and be available to serve Low German-speaking Mennonites. Their language of worship and instruction was English and Low German. In 2017, the average attendance was 45, and the membership was 10. Mailing Address: Box 1181, Two Hills, Alberta T0B 4K0. Meeting Location: 4606-57th Ave., Two Hills, Alberta. Wiebe, Ron, Terry Smith and Alf Redekopp. "Living Faith Fellowship (Two Hills, Alberta, Canada)." Global Anabaptist Mennonite Encyclopedia Online. June 2018. Web. 25 Apr 2019. http://gameo.org/index.php?title=Living_Faith_Fellowship_(Two_Hills,_Alberta,_Canada)&oldid=160930. Wiebe, Ron, Terry Smith and Alf Redekopp. (June 2018). Living Faith Fellowship (Two Hills, Alberta, Canada). Global Anabaptist Mennonite Encyclopedia Online. Retrieved 25 April 2019, from http://gameo.org/index.php?title=Living_Faith_Fellowship_(Two_Hills,_Alberta,_Canada)&oldid=160930. This page was last modified on 22 June 2018, at 13:37.